Since we tried to experience every possible mean of transport, we couldn’t miss the sleeper train to reach the city of DaNang. Go straight to our train booking tutorial here. 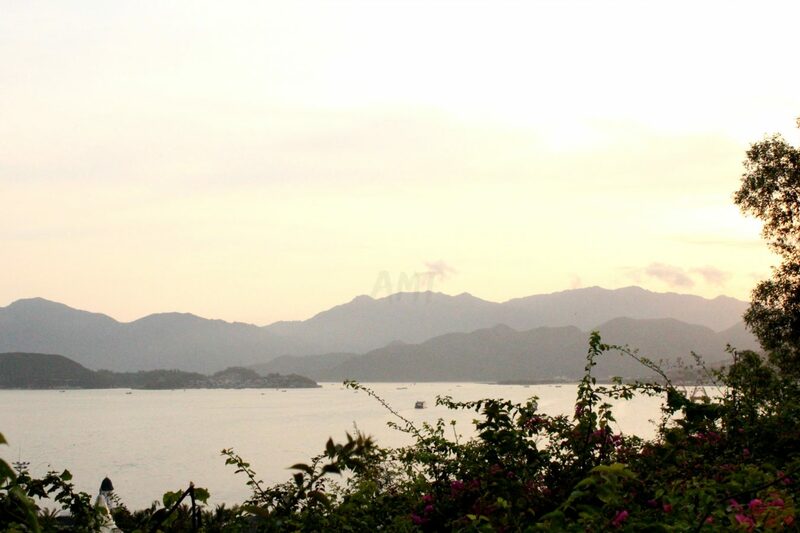 Our stay in Nha Trang is not very comfortable, not to say inconvenient. The sleeper train from Nha Trang to Da Nang will be our best memory. Because of Tet holidays (Vietnamese lunar new year), hotels are super full and remaining places are way overpriced; we try then on Airbnb: same story, but eventually we manage to find a room, even though 5 miles away from the centre. Unfortunately at our arrival, the owners welcome us with a bad surprise: if we want the room we booked, we have to pay more than double the price. Alternatively they suggest us to go to a nearby guesthouse, quite crumbling, same price. Tired and annoyed we are happy (not really…) with the second option, finding ourselves in a bare room, with a mattress thrown on the floor as only piece of furniture. We have dinner in one of the many Russian restaurants in town, that lately has been surprisingly settled by them, despite the not near mother land: hotels, restaurants, shops, travel agencies, there are cyrillic signs everywhere. After said problems we decide to leave Nha Trang the next day and we book a sleeper train to Danang, that leaves late at 10pm. Here’s a parenthesis on how to book a train ticket in Vietnam. Book online on the Vietnamese railway website dsvn.vn. After you choose your seat, date and time, you will have to go yourself to the nearest train station with the e-mail confirmation in order to pay for your ticket in VND cash (unless you have a Vietnamese credit card to proceed with payment online, foreign cards are not accepted). You don’t need to go to the station you are leaving from to collect your tickets, for example we got our tickets in Dalat station! Book online on Baolau.vn or on 12go.asia, both very nice and clear websites which allow you to use all the main global credit cards. Prices are same as on the Vietnamese one, you will only have to pay a processing fee (around 2$). You will receive your e-tickets straight to your e-mail, and you will have to show it when you board the train. We used it when we were in Cambodia to buy tickets from Ho Chi Minh to Phan Thiet, it was a very nice surprise, sometimes we can’t even use this simple system back home in Italy! Just go to the train station and buy the ticket that suits you. Most of the employees can speak a basic English which is enough to make the job. To know how to book online, follow our tutorial here. 6-bed compartment with hard beds: they are really hard and thin mattresses. The compartment is quite narrow and crowded, good if you want to chat with other travellers and if you are on a budget (the price is even cheaper if you choose the upped bed), not that good if you are looking for some rest and/or privacy. Normally there’s a fan on the ceiling very close to the upper bed. 4-bed compartment with soft beds: comfortable enough to fulfill their name. Good space, decent mattress. We used this option, got the upper beds, shared the compartment with a very polite Vietnamese family (mum, dad and baby), had a very good sleep, and woke up at 8 am, in time to get ready to step off in Da Nang. hard seat: you will enter a bare coach with nothing but wooden benches on the long sides. Not really comfortable as a sofa, but for a few hours that will do. Very nice experience to see how local people travel everyday. No numbered seats, so get on early to secure a decent spot. Ridiculously cheap, we even got served a snack with a bottle of water complementary. soft seat: a “normal” train seat as we know it, less crowded coach with numbered seats. Basically every Vietnamese train runs from Hanoi all the way to Ho Chi Minh City, or the other way. For this reason, timetables are variable, you need to book some days before to find a soft bed which normally are the first to sell out. Normal seats are bookable only on the same day of travel, so just show up at the station as early as you can. 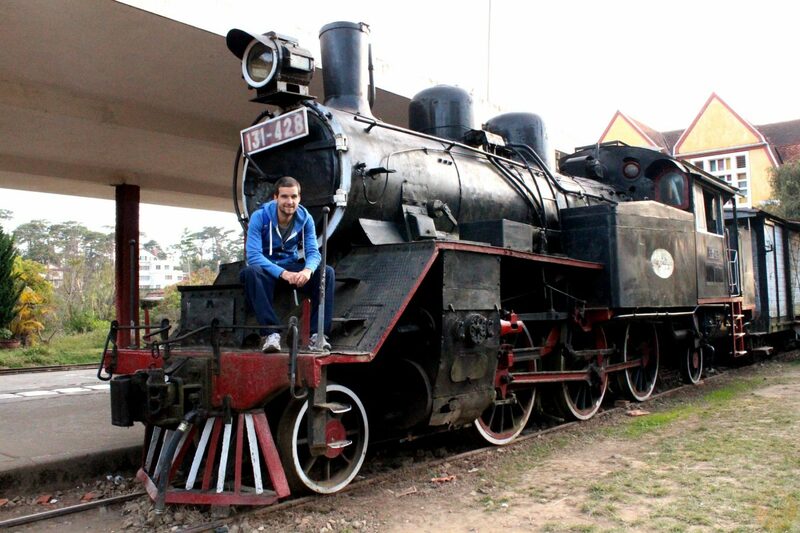 Train travelling in Vietnam is a rewarding experience that we definitely suggest to try! Plane tickets cost as much as a night ride on a train, but on the latter you’ll be able to relax, sleep, meet new people, and enjoy the views. Let’s go back to our stay in Nha Trang: we need to find a way to spend the day without having to carry our backpacks with us, which we cannot leave at the guesthouse, too far from the station, and we have to find a place where to take a shower before our long travel by train too. 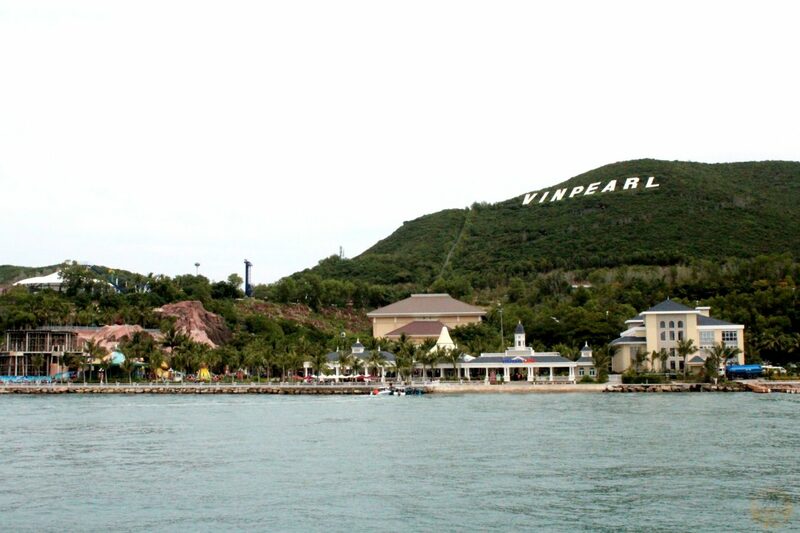 The perfect solution to our needs is Vinpearl Land, a big fun and water park that rises on an island in front of Nha Trang, in a majestic almost Hollywood style, as the cubital font writing that dominates the scenery. Definitely beyond Vietnamese background. We spend the day sliding down the slipways like kids, a few slow and romantic rides for Ambra’s taste, and after the sunset we leave the island on board of both a technological and spectacular cable car over the sea. A taxi ride at triple the normal fare, always for our beloved Tet, and we reach the station ready to get on the train and dive into an authentic rustic atmosphere, kind of travelling back in time. Amazing to see employees busy with refilling the wagons jugs with water one by one, whole families dealing with piles of luggage in order to reach maybe the opposite far end of the country, more than 1000 miles away; it is compulsory to cross the tracks to reach the third one, and there is a ticket inspector at the door of every coach, that will take care of it for the entire trip. Our ticket says “soft sleeper bed” class, that means we are entitled to a bed in a 4-person compartment. We find a small cute family formed by mum, dad and a baby, occupying the lower beds: we communicate with them only with gestures, they show us how to climb up, they look at us smiling and with curiosity. Exploring the other coaches, scenes are diverse: westerns mix with locals in 6 hard-sleeper-bed compartments, with literally hard surface bed as they mean it! Some Vietnamese travel sitting on stools in the corridors, people eat everywhere, some other even cook, stirring soups in big pots, kids run around half naked, a lot of smells, sometimes unpleasant; all of that combined with rural landscapes out of the windows, endless rice fields, women working under the sun with their typical Vietnamese hats. The train does many stops, some planned some other not, but hours go by with no issues, we sleep quietly and rest. 500 km and 12 hours later, we arrive in DaNang, where we will remain for several weeks. Jazz Hotel Da Nang: nice sea front hotel in a quiet location along Da Nang beach. Great atmosphere with live music in the lounge every night. Diamond Sea Hotel Da Nang: for an amazing view on the sea, book a room with balcony in this modern hotel on Da Nang strip, with a cool rooftop swimming pool&bar! You can pre-book all your stays in Da Nang and Nha Trang with free cancellation here. 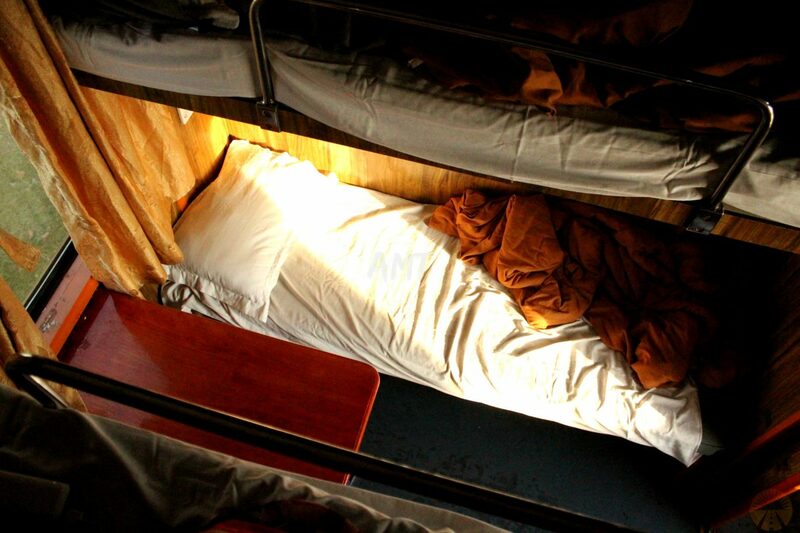 Soft bed in 4-bed berth, sleeper train Nha Trang-Da Nang: around 9 hrs, check prices here. Hello Sergiogovegio! I did a quick search and actually cannot find the 10pm train for next days. We took the “SE18” train, which is one of the express trains (“TN” are the slower ones), but now I can’t find that train being available. The reason probably is we were travelling during Tet holidays, so the service was improved with more trains running. 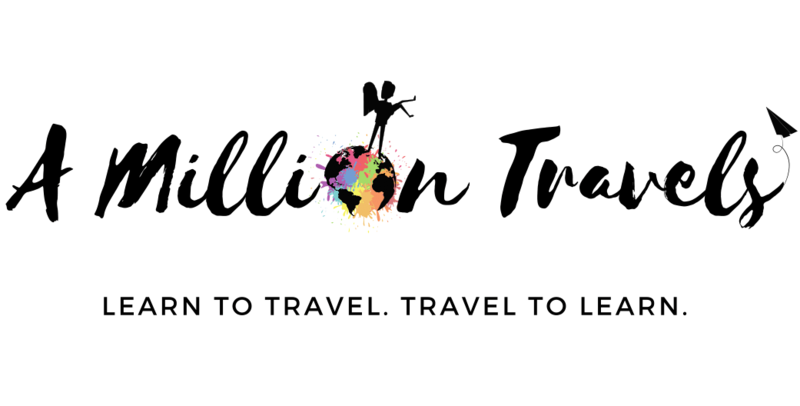 I can recommend for future bookings, along with http://www.dsvn.vn/#/ , to use http://www.baolau.vn/ : here you can find timetables always up to date and fair prices, and you will be able to book even with foreign credit cards with a small 2% fee. Otherwise you can buy the tickets on the vietnamese website and collect them at the train station. This said, if you can’t find any soft sleeper beds available, you will have to go with the hard beds: we haven’t had any experience with them so far, but I believe if you take the lower bed, it won’t be too bad! By the way, the railway between Ho Chi Minh and Dong Nai is currently disrupted, I hope you are already in Nha Trang or close by! We will be happy to help you if you have any other questions, and let us know how you manage to come to Danang! Also, we can help you with info about Danang in case you need! Safe travels! Thanks for that. We managed to book soft sleepers on the 19:54 SE22 train using baolau.vn. Thanks for all your help … truly appreciate it. If you’re looking for a nice and cheap place to stay, I suggest you Barney’s Hostel, where we’re currently staying. It’s a very cozy and brand new hostel! Enjoy Da Nang, hope to be in touch!